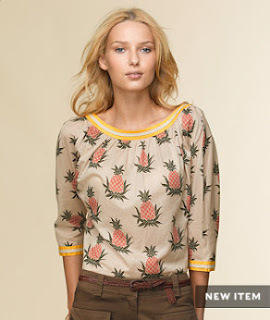 The subject for Friday's post, Pineapples, was inspired after looking through LL Bean Signature's website and noticing a pineapple patterned top in their Spring collection. 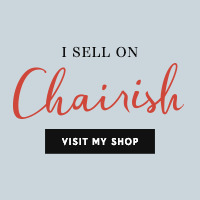 LL Bean Signature, the sister site to LL Bean, was created with a focus of bringing back classic styles inspired with a twist of vintage preppy, a look that originally put LL Bean on the clothing map. 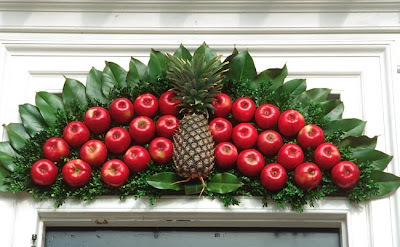 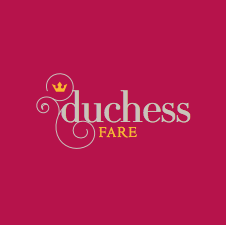 The Pineapple has served as a symbol of warm hospitality, dating back to Colonial times. 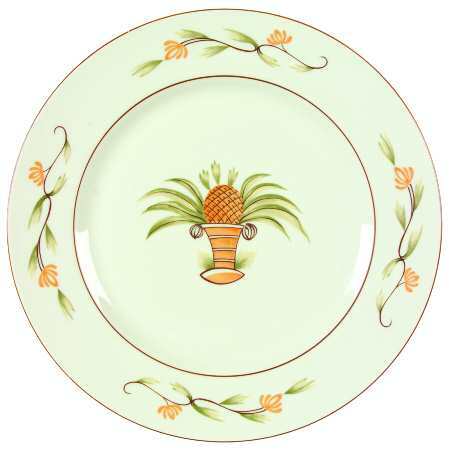 At the historic sites of Monticello and Colonial Williamsburg, Pineapple imagery seems to be everywhere as a welcome sign to guests. 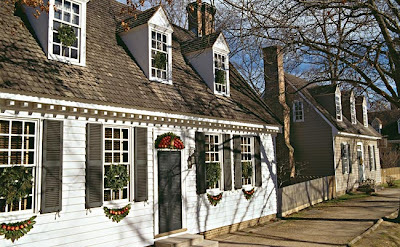 We visited these landmarks back in 1988, while on a college scouting trip for my older brother, checking out UVA (in Charlottesville) and William & Mary (in Williamsburg). 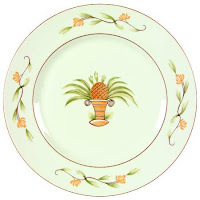 At the time, my Mother was going through a huge Pineapple phase, and when Dad spotted a Pineapple design inspired dinnerware pattern offered by Monticello, he purchased the complete set for her. 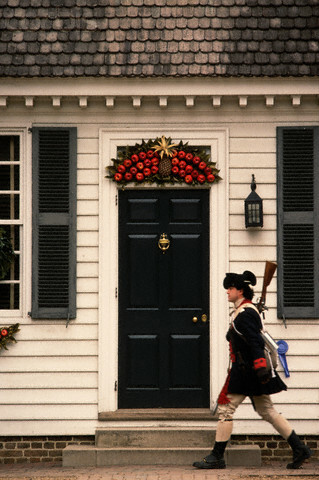 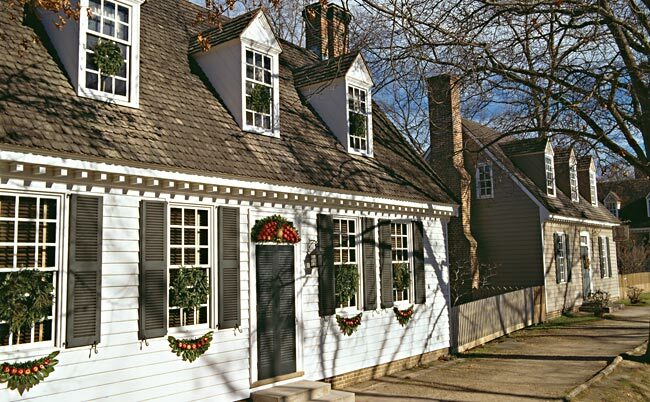 While touring Colonial Williamsburg, Pineapples were spotted as home accessories and utilized abundantly in holiday decorations. 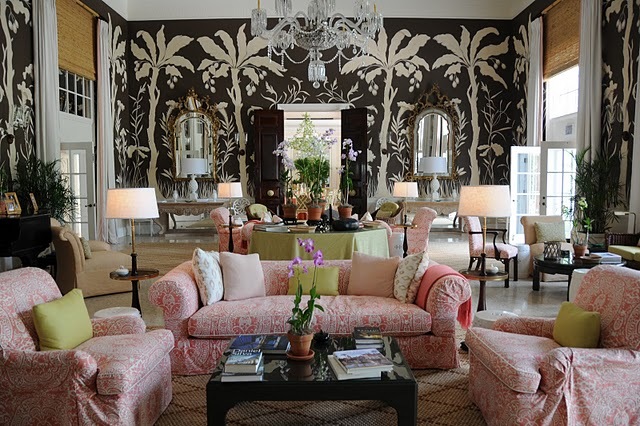 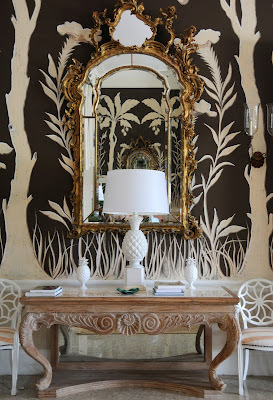 Over the week-end, flipping through the pages of my April Town & Country magazine, I instantly spotted interior designer Tom Scheerer's selection of Pineapples in his redesigned spaces of the Lyford Cay Club, an exclusive Bahamas resort. Representative of the welcoming & hospitality symbolism, a Pineapple finial was added on top of Little Club's roofline, and Pineapples are featured architectural details and accessories through out the interiors.